Palm Beach County’s wildest ride! The BMX track entrance is past the main park entrance heading west. You will see it just before the bridge. 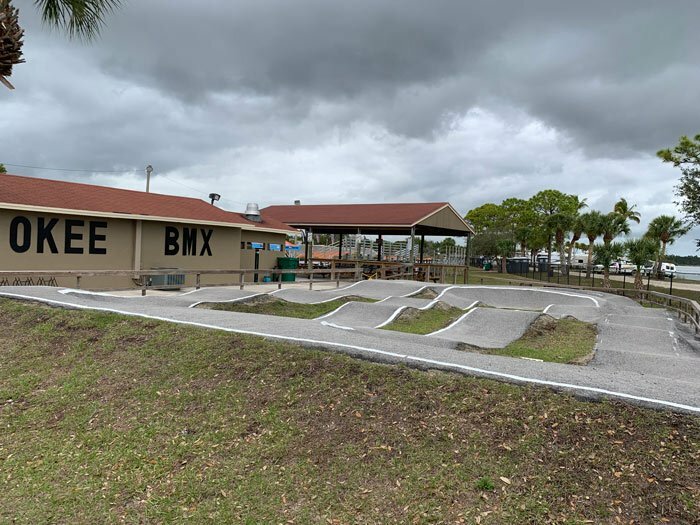 The track is run by the nonprofit, all-volunteer group Okeeheelee BMX with various events around the year. Race seasons run from January 1 through May 31 and June 1 through December 15. You’ll need a USA BMX card to practice or race. For more information, call the track at 561-642-6774. 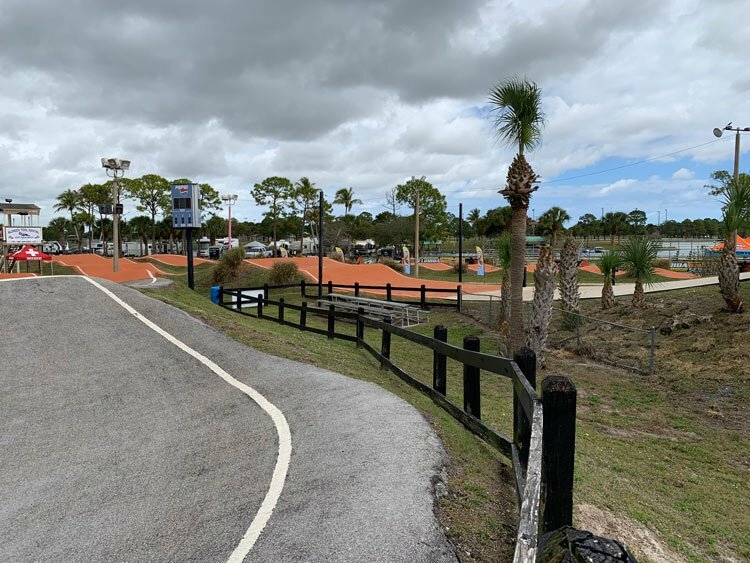 From the nearly 10 foot starting hill to the finish lines, Okeeheelee BMX track is 1220 feet for amateur and 1340 for pro. New riders who are interested in the sport can participate in the club’s “F10W” program, which offers the First 10 Weeks of training at no cost. Bike and helmet rentals are also available. Sneakers, long sleeve shirt and pants as well as helmets are required. Why not give it a try and see if you love it?